Apple and Volkswagen have teamed up to make the long-rumored iCar a reality. Together at the Shanghai Auto Show, the two companies unveiled the iBeetle, the first car with deep iPhone integration created in coordination with Apple. The iBeetle App provides a wide variety of uses while connecting to the car through either a docking station or wirelessly. "When the app is launched, it can either connect the iPhone to the Beetle ("docked"), or not ("undocked") – the driver or front passenger decides that," Volkswagen explained. "As soon as the iPhone connects to the data network of the Beetle via the app and the docking station ("docked"), it all begins." Some of the functions include easy access to Spotify, checking up on engine diagnostics and finding the most gas efficient route between two points. There's even an option where the iPhone can take a picture of the interior of your car and send it to others who want to keep up to date on your journey. Volkswagen also states that the iBeetle was designed for the iPhone 5 but it's not expected to launch until well after the iPhone 5S hits the market. 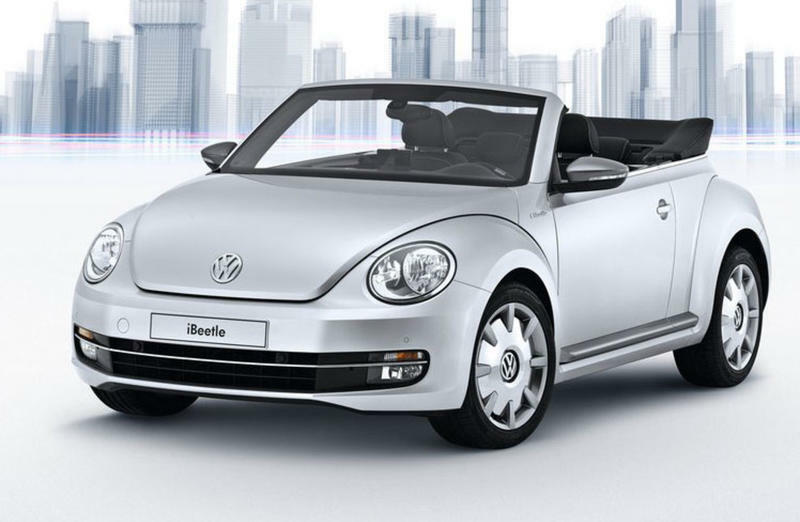 The iBeetle will be released in early 2014 and advance sales are expected to start in October.